I'm Ed Smith, a Stockton tractor accident lawyer. If you were to ask people what they think is the most dangerous occupation, their response is likely to be construction, mining, or transportation, all of which are considered high-risk jobs. Very few are likely to say farming or agriculture. The truth, however, is that farming is one of the most dangerous occupations because of its high death rate. The hazards faced by farmers on a daily basis – whether they work on a small family farm or a vast agribusiness – are unparalleled and the risk of injuries is significantly higher compared to most other occupations. Data from the National Center for Farm Worker Health shows that every day, approximately 500 agricultural workers sustain injuries that result in lost work time. Data from the National Safety Council shows that farming has one of the highest death rates in the country – 49 deaths per 100,000 workers every year. The death rate of farm workers is eight times higher compared to the average fatality rate of all the other industries. Defective or poorly designed farm equipment is one of the reasons why accidents are so common on farms. Tractors, in particular, are considered more dangerous than most other heavy-duty equipment. Statistics from the National Safety Council show that tractor accidents account for the largest number of injuries and deaths in the farm working industry. Between 1992 and 2001, a total of 2,165 farm workers died as a result of tractor accidents. In 2010, there was a 6% increase in the number of fatal occupational injuries involving people who drive tractor-trailers – from 577 to 610 deaths annually – as shown by the US Census of Fatal Occupational Injuries. Tractor rollovers are the leading cause of injuries and fatalities for farm workers – accounting for 44% of farm accidents. 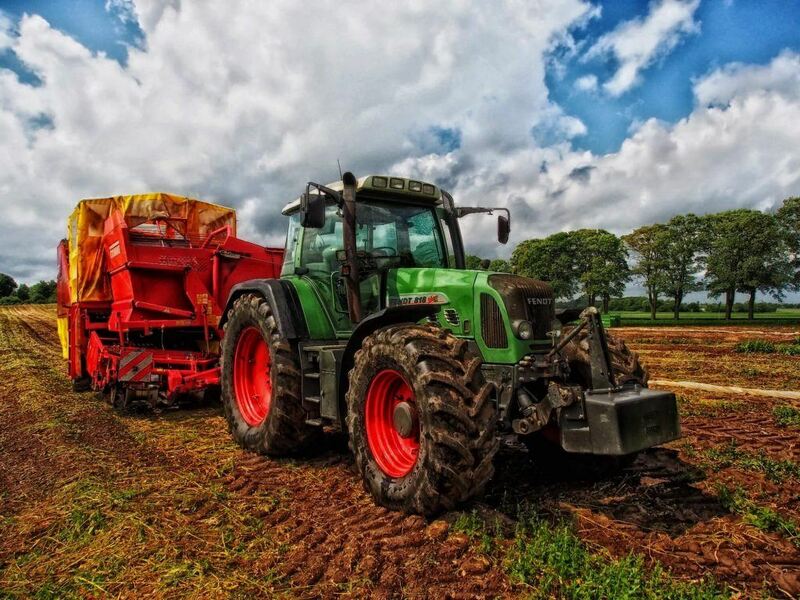 A report from the National Agricultural Tractor Safety Initiative shows that every year, 130 people die as a result of tractor accidents – accounting for 50% of farmworker fatalities. A tractor rolls over and crushes a person (usually the operator). A tractor runs over a person. A tractor collides with another vehicle on a public roadway. A tractor makes contact with power lines. A person gets entangled in a moving part of the tractor like the power take-off shaft, belt, gear, pulley, or chain. The responsibility of protecting farm workers primarily lies with agricultural employers who hire them as well as the manufacturers of farm equipment. Employers need to make sure that workers are aware of potential occupational hazards. They also need to take proper precautions to prevent or minimize the risk of accidents and protect the safety of everyone who works on the farm. Manufacturers, on the other hand, have the duty to make sure that defective farming equipment is not sold to anyone – be it individual farmers or agribusinesses. It is also in their best interest to do so since they can be legally held responsible for any injuries or deaths resulting from defective equipment. A manufacturer sells defective machinery which is prone to malfunction or break down when operated. A manufacturer fails to warn people of potential hazards associated with the equipment by not adding hazard warning labels. An agricultural employer – either deliberately or inadvertently – allows workers to operate farming equipment without safety shields. An agricultural employer fails to maintain farming equipment properly. An agricultural employer fails to educate and train workers on how to operate farming equipment safely. An agricultural employer trains farm workers in a language they are not familiar with. About 50% of farm workers in the United States are Hispanics who do not speak or understand English. Data shows that a majority of tractor accidents involve older models that do not have rollover protection systems (ROPS) and other such safety features. In fact, 50% of the tractors operated in the country do not have ROPS or even seat belts for that matter. So, in most tractor accidents, the fault lies with the vehicle itself, not the person operating it. The National Safety Council has an inspection checklist to reduce the risk of tractor accidents. Does the tractor have seat belts and ROPS? Does the tractor have a Power Take-Off (PTO) master shield? Are the flashers and lights in proper working condition? Are there a fire extinguisher and an emergency first aid kit in place? Does the tractor have a ‘Slow Moving Vehicle’ emblem? Apart from this, the operator must also check the tire pressure and inspect the hydraulics system for leaks before operating the vehicle. Rollovers are the leading cause of fatalities for tractor operators. What makes a rollover particularly dangerous is the fact that it can happen in seconds and the operator has virtually no chance of reacting in time and preventing it. Rollovers are classified into two types – side rollovers and rear rollovers. Side rollovers happen when the tractor flips to the side and overturns. Rear rollovers, on the other hand, occur when the tractor flips backward and overturns. In both cases, the risk of fatal injuries for the operator as well as the people riding along is very high. The operator is most likely wearing a seat belt, this may not be the case for others inside or outside the vehicle if they are standing on the outside of the tractor. How to Prevent Rear Rollovers? Avoid operating the tractor on steep slopes. If you must, put the vehicle in reverse and back up the hill slowly and steadily. Caution matters! Improve wheel traction with the help of boards, tire chains, and other such materials. Do not increase the speed of the vehicle suddenly, especially while operating on unstable conditions. Any change in speed must be done smoothly and gradually. Make sure the load is hitched to the drawbar properly before operating the vehicle. How to Prevent Side Rollovers? Do not make sharp turns while operating the vehicle on steep slopes. Always slow down to the extent possible before making a turn, especially if the surface is unstable. Never drive too close to roadside ditches. The best way to reduce the risk of a rollover is to make sure the tractor you operate is equipped with ROPS. Many companies these days sell rollover protection systems as standalone tools as well. You can purchase it and install it in your tractor to increase its stability and significantly lower the risk of a turnover. Health and safety training is a critical requirement in California’s mandatory IIPPs (Injury and Illness Prevention Programs). Instruction must be given even to temporary and contract workers who perform at a workplace or a job site. Employers in California have an option to choose outside training professionals to build and implement their training program. I'm Ed Smith, a Stockton tractor accident lawyer. If you or a family member has been involved in a tractor accident that resulted in injury, call me at (800) 404-5400 or (209) 227-1931 for free, friendly advice. I'm a part of the reputable Million Dollar Advocates Forum, which consists of trial lawyers as members who have won million dollar settlements and verdicts. Review some of our verdicts & settlements here, and check out how some of our past clients have rated us on Avvo, Yelp, and Google.